7 Most Creative Airport Advertisements from Around the Globe! A creative campaign can be an effective way of reaching and engaging with your intended audience. This is true in traditional channels as well as when considering airport advertising. With so many people going in and out of airports every year, we look at how some companies have utilised airport ads to cut through the noise and stand out among hundreds of other brands. 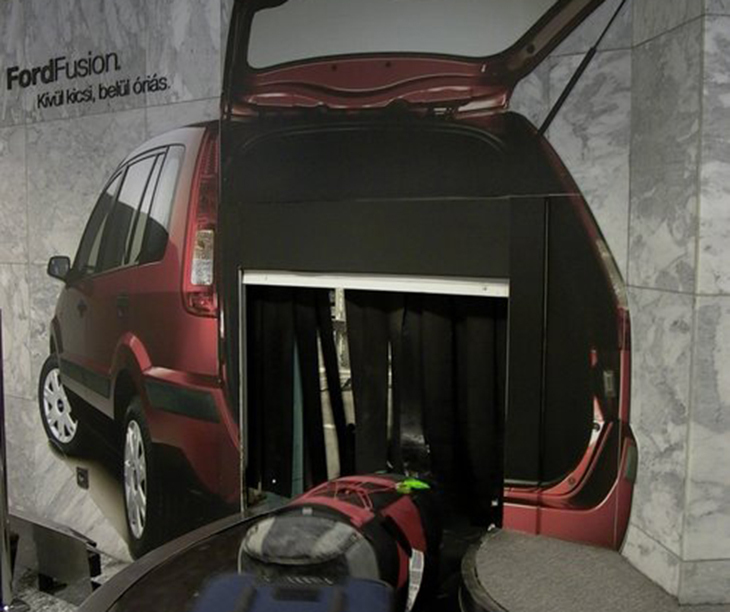 Ford utilised a wall wrap which surrounded the entrance of the baggage carousels at the Budapest airport. The ad showcased the storage capabilities of the Ford Fusion. 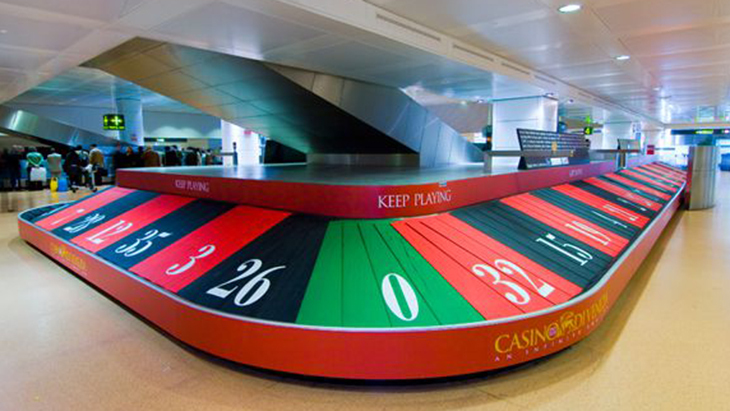 Casino Di Venezia decided to turn a baggage collection belt into a life-sized roulette wheel at Venice Marco Polo Airport. According to the casino, visits increased 60 per cent when the airport ad was used. Beau Rivage also utilised the airport baggage collection belt to showcase their brand. They used printed signage to turn the collection belt into a pool. This was based on insight they discovered where they found people were a bit stressed after travelling. By mimicking the cool water of their complex, they saw an increase in enquires for their properties. 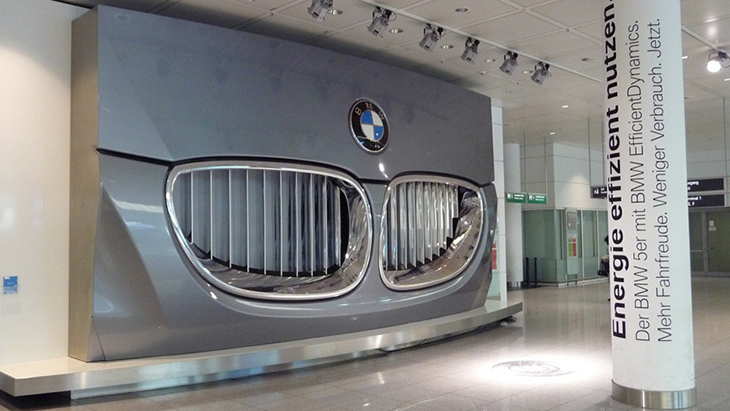 BMW have always had a strong presence when it comes to advertising their vehicles at airports. With Munich being their main headquarters, they spared no expense. The interactive display board lights up and the sound of an engine turns on. Hopi Hari is an amusement park who wanted to bring their attraction front of mind for travellers to the region. 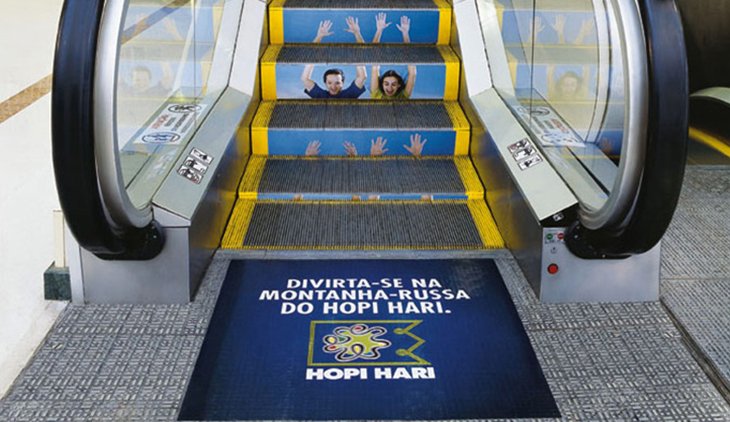 People enjoying their park’s rides were printed onto escalators, creating a fun, dynamic visual. In 2006, Adidas launched an outdoor airport campaign to promote the upcoming FIFA World Cup which was being hosted in Germany. They created a huge arched overpass bridge poster featuring German football legend Oliver Kahn. 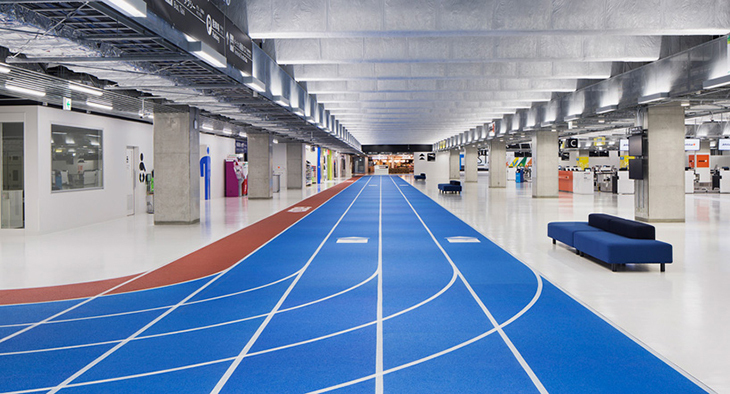 To promote the 2020 Olympics which are being held in Japan, Tokyo airport in Narita turned an entire terminal into a Running Track. 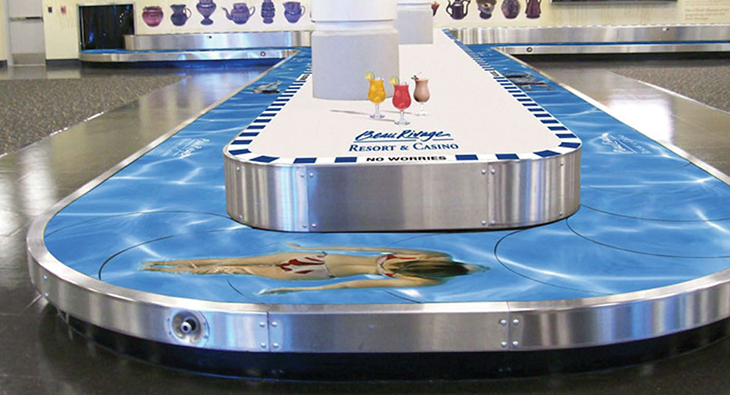 This is one example of graphic floor advertising to promote events, products and services. There are many possibilities when it comes to airport advertising. Luckily, the Bishopp team is here to help! Bishopp Airport Advertising is available in over 18 Airport locations throughout New Zealand and Australia. We have a huge range of airport advertising formats available, suitable for large and small businesses alike. Our team of Airport Advertising Specialists will tailor a campaign to you and your business. Want to learn more?